Anne’s April 9 appearance on Jo Vandermeulen’s blog talk radio show scored a great success. Vandermeulen, a radio host, author, and internet promotional expert who broadcasts from Courtenay, British Columbia, called it “a great show,” with a “fabulous” presentation by Anne. As of today, Vandermeulen has posted the recorded version of the show in her Top 5 Recorded Radio shows on her “Jo Conquer All” website. She also has ranked the show among her Top 4 radio broadcasts on Talk Radio Network. To hear the complete interview, visit the broadcast recording page. 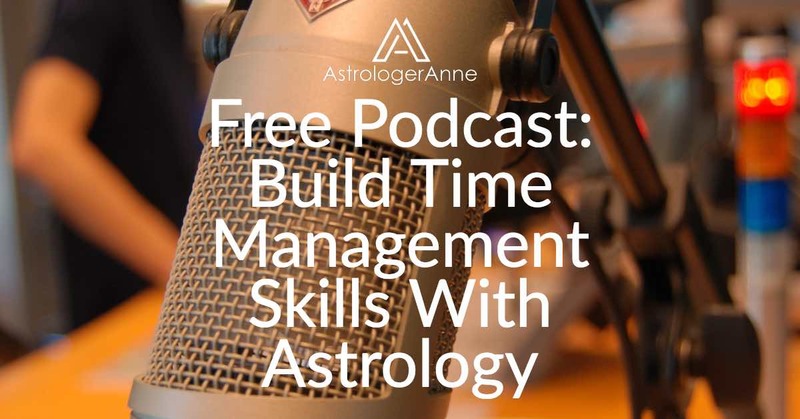 Others wrote to say how helpful they found the various time management tips, especially the importance of paying attention to Mercury’s retrograde periods. 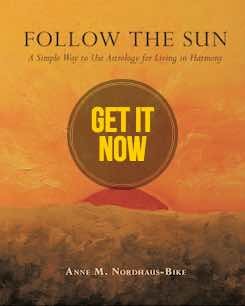 During the interview, Anne also talked about the Sun and the Moon as important factors in managing time and shared information about her astrology book, Follow the Sun: A Simple Way to Use Astrology for Living in Harmony. Although the live broadcast lasted about a half hour, the full interview runs just less than 38 minutes. To hear the complete interview, visit the broadcast recording page. Happy listening! And thank you again to everyone who already has listened to the broadcast and taken time to share it with others.